The day has come where the pull out is planned. 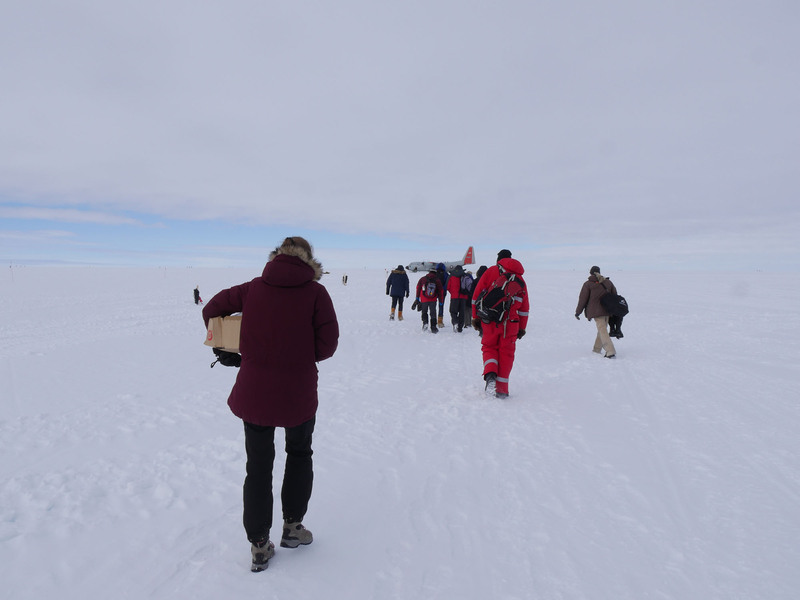 The weather forecast was not too good but as always – if you have a plan you follow it… All turned out to go well, the clouds had a sufficient high ceiling, the wind did not pick up and Skier 41 departed Kangerlussuaq at 09:00 to pick us up. At 11.30 the skier was parked at EGRIP and we used the Next 90 minutes loading pallets, defueling, taking down the weatherstation, parking the Cat, skidoos, fuel pump and sledges in the garages, closing the dome and walking to the Skier. The take off was outstanding and the flight to Kangerlussuaq super and Daniel read the last pages of his book in the Skier. A GREAT THANKS to the 109th for fantastic support during the 2018 season. Daniel reading the last pages in Skier 41. No structures on the snow.